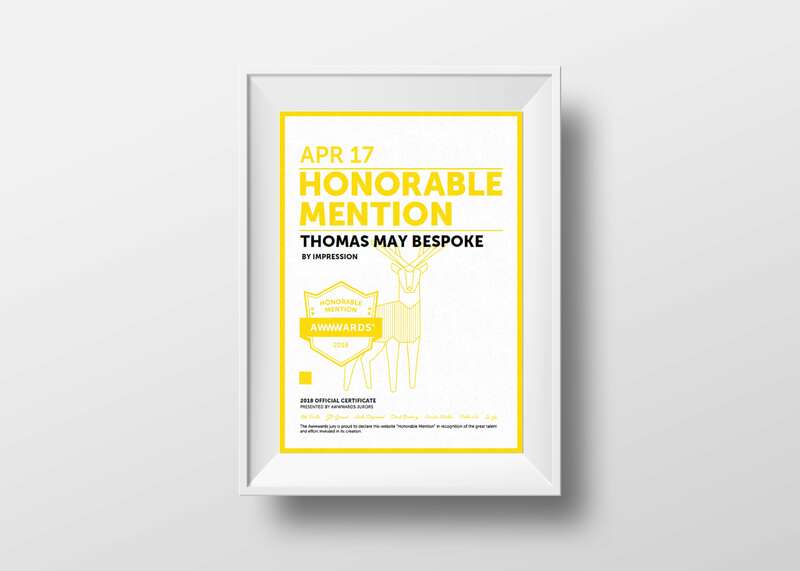 We’re proud to announce that our latest website project for Thomas May Bespoke has picked up 2 prestigious industry design awards. The CSS Design Awards is made up from an international panel of judges that have been carefully picked from leading industry professionals, they come together to judge the best websites in the world at the end of each month and year. 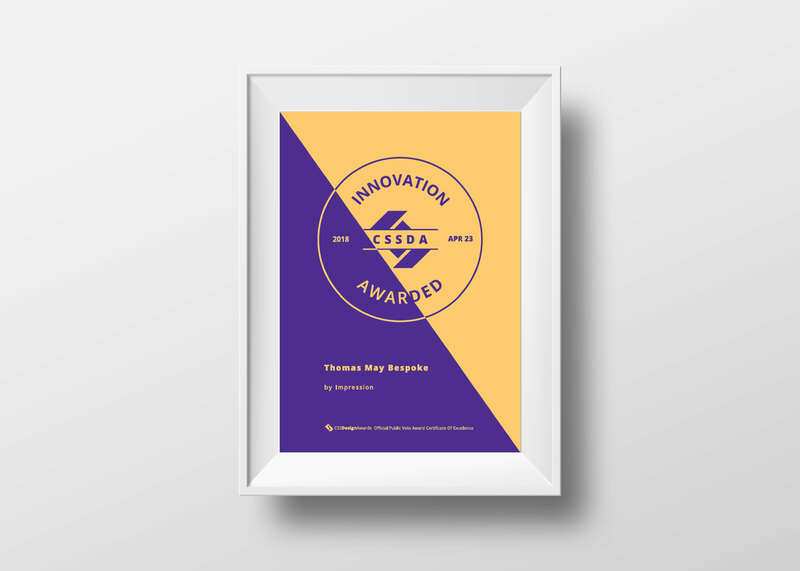 The project was recognised for Innovation, UX and outstanding creativity, code and usability in website design. The website has also been awarded with an Honourable Mention by Awwwards. For more information, visit the CSS Design Awards website.